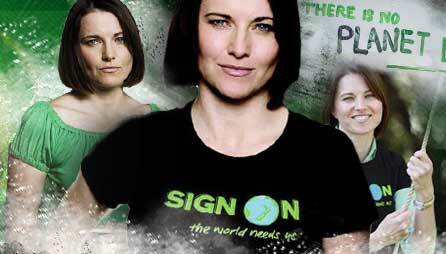 Welcome to the AUSXIP Lucy Lawless Greenpeace subsite where news and multimedia related to Lucy's role as Greenpeace Ambassador can be found. I have set sail for my life as an eco-Warrior. Won't you all join me? Lucy joined other celebrities Saturday in launching a petition urging the government to sign on to a 40 per cent cut in greenhouse gas emissions by 2020.